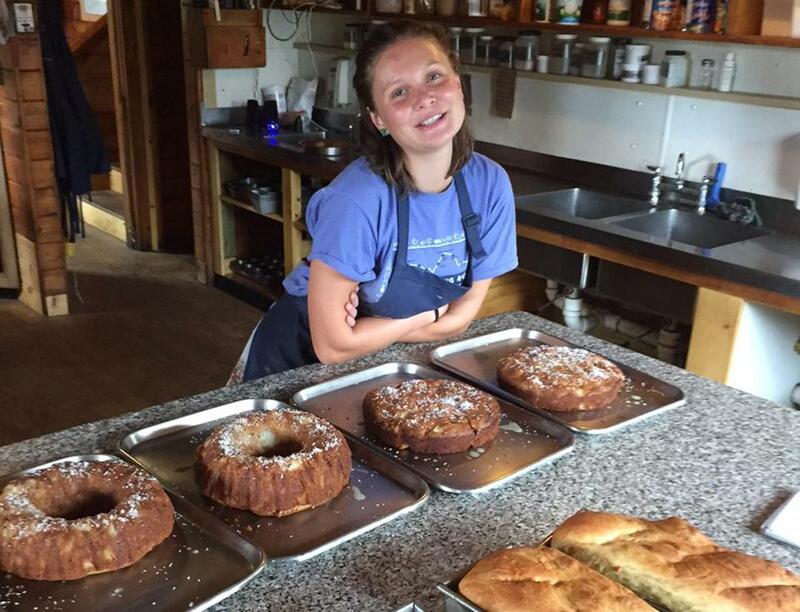 Guests at Mizpah Spring Hut develop a sense of camaraderie over family-style meals. I’m nearly 4,000 feet above sea level, miles from the nearest road, standing in a kitchen from my childhood. Turkey roasts in the oven. Just-baked apple cake cools on the counter. Blueberry-lemonade cheesecake crowds a plate. A few whiffs and the decades dissolve. It’s like I’m a child again. From the time I could scramble up a slope, my father often took me here — Mizpah Spring Hut, in an Alpine meadow in New Hampshire’s Presidential range. 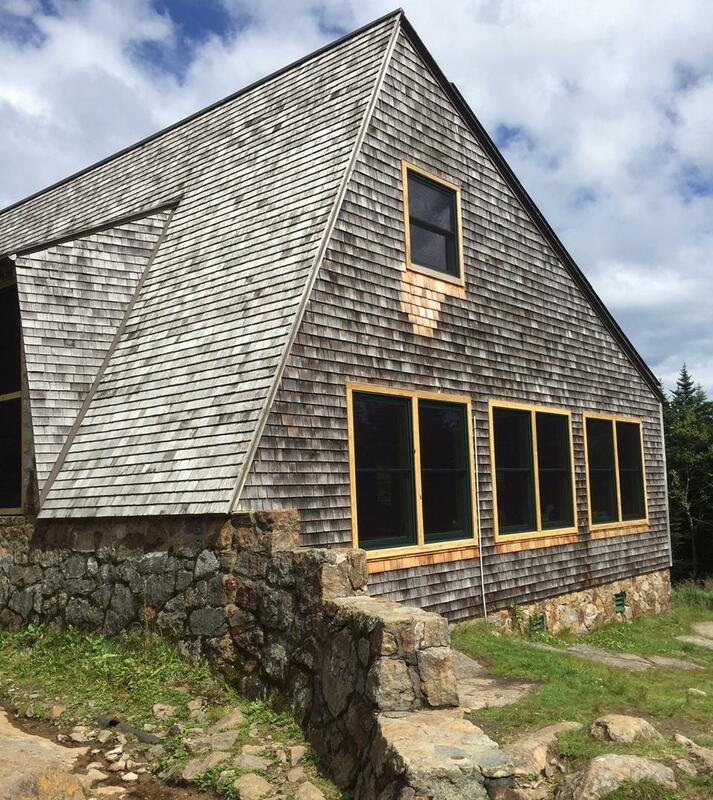 Some of my sturdiest memories of him are set in this place, one of eight overnight huts run by the Appalachian Mountain Club in the White Mountains. During early hikes, I was young enough to sometimes need Dad’s arms to hoist me over the trail’s root-wrapped rocks. Later, I was old enough to sometimes need an admonition: Stop complaining, we’re almost there. And then we were there — always in time for dinner, gobbling down food I would have declared poisonous on flat ground. Are there nuts in this bread? Is that a bean in my soup? I’ll try some. Part of it was the teenage need for any kind of sustenance: a bottomless appetite and no steak-and-cheese sandwiches in sight. But these mountain experiences were also nourishing in other ways. Meals at Mizpah are served family style on long wooden tables with backless benches. Guests — about 60 each evening in summer and early autumn — come from different places, along different paths, to share meals and stories. By dessert, strangers are less strange. There is something else that makes hut food special — the way it gets to the table; on the shoulders of people like Abbey Bliss. She and other crew members carry provisions 2.7 miles on wooden packboards, at 35 to 75 pounds per load. “I find it to be a quite pleasant and mellow trail, if you take it slow,” Bliss says of what ordinary humans would consider an endurance test. But lugging everything that goes into every dish encourages equal parts appreciation and efficiency. On an August afternoon that can’t decide between sheets of fog or slivers of sun, the 22-year-old Amherst College graduate — whose real world address is in Cambridge — prepares for “go time.” That’s when her colleagues, four on this shift, are due back to help dole out dinner to overnight visitors. Everyone rotates as master chef, even the crew member whose cooking résumé begins and ends with a quesadilla. Meats, including bacon and sausage at breakfast, still rule, but the AMC has adapted to suit hikers’ evolving diets. “We do our best to accommodate vegetarian, gluten-free, Paleo, dairy-free, and all sorts of allergies,” says Bliss, who is hutmaster this season. Mizpah Spring Hut in New Hampshire is nearly 4,000 feet above sea level. The fare may not be three-star cuisine, but it’s hearty and plentiful. Turkey with “all the fixin’s” — cooked in a propane-powered stove — will be joined by tomato soup, “sub-Alpine salad,” pesto “Best O Bread,” and a mystery dessert, which I’m certain is that apple cake with maple glaze. The Lyells are anxious for go time. Me, I’ve got to get going — a slippery downhill slog and four-hour car trip home await. Dinner, this time, will have to be imagined. Alone in the forest with its slimming light, lost in the thump-thump of my footsteps, I feel fulfilled if not full. It’s been a long day of long-steeped memories, once again freshly savored. Mark Pothier can be reached at mark.pothier@globe.com. Follow him on Twitter @markpothier.